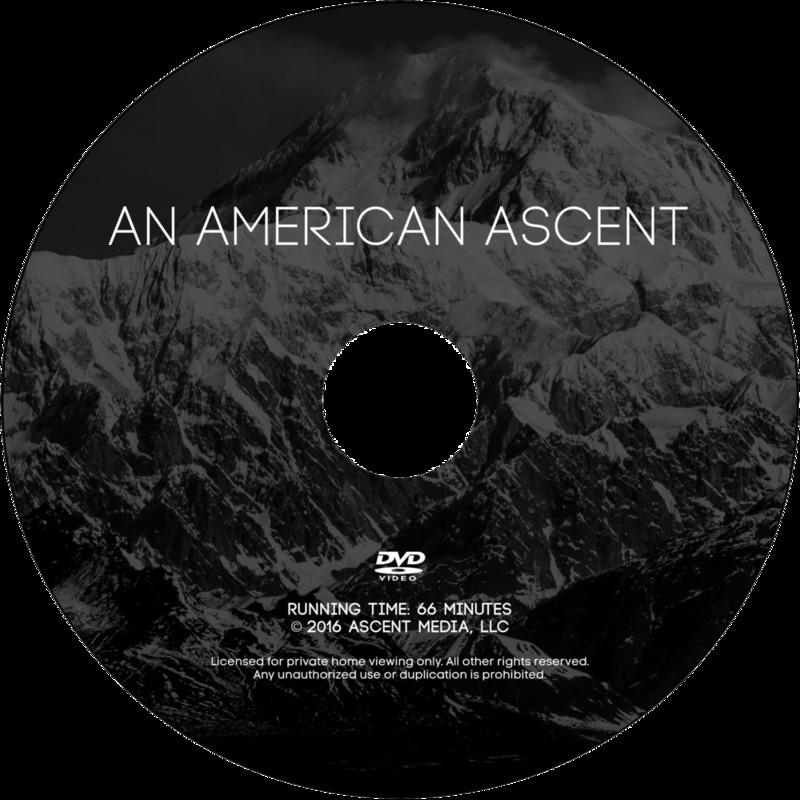 AN AMERICAN ASCENT is a documentary film about the first African-American expedition to tackle North America's highest peak, Denali. In only a few decades the United States will become a majority-minority nation, as people of color will outnumber today's white majority for the first time ever. Yet, a staggering number of people in this soon-to-be majority do not consider the outdoors as a place for them. By by taking on the grueling, 20,310 foot peak of the continent's biggest mountain, nine African-American climbers set out to shrink this Adventure Gap by building a legacy of inclusion in the outdoor/adventure community. The film addresses often overlooked issues of race and the outdoors as it follows the team up the mountain, chronicling the many challenges of climbing one of the worlds most iconic peaks. AN AMERICAN ASCENT is Wild Vision / Floating Point co-production. The film was produced and directed by George Potter & Andy Adkins, and written by Andy Adkins & James Mills. It follows Expedition Denali, a project of the National Outdoor Leadership School. The film is currently available on DVD various streaming platforms, and for special screening engagements. We're excited to be able to offer the film An American Ascent to everyone! Pick up a DVD* and be part of the story! Every DVD sale helps us continue to reach kids around the country through film screenings and special events. All DVDs contain still images from the production and additional bonus features like route maps and more. All DVDs are sold through our friends at Patchmarks. Feb. 9 / John's Hopkins Univ. Feb. 9 / National Parks Conservation Assoc. Free First Thursday screening in the store. Director Andy Adkins and DP Hudson Henry will be leading a Q&A after the film. Climber Scott Briscoe, Filmmakers Andy Adkins and Hudson Henry will lead a Q&A after the film. We screened to a packed house in the South Court Auditorium last Friday, June 26. Check out the blog post. NYC June 11-14. Vote for us! Just kidding you can't. But we'll let you know if we win June 14. We're happy to announce that we've been selected to open this 10 day festival in Boston on June 17th. We're screening across the U.S. every week through April: Brooklyn, Oakland, Seattle and Vegas. Then we kick off May at Festival International Du Film Panafricain in Cannes. AN AMERICAN ASCENT Wins Another "Best" Award. Best Feature Film at the Mountain & Adventure Film Festival from Film Festival Flix. AN AMERICAN ASCENT wins Best Director and Best Documentary at San Diego Black Film Festival. An American Ascent Selected to Screen at the San Diego Black Film Festival. An American Ascent plays at the Bozeman Ice Fest to a full house.